Create teleportation gates without running a single command. CreativeGates - Create teleportation gates without running a single command. Once you get used to having Creative Gates available it's tough to imagine a faction build without it. We use this to tie together our faction's various colonies, mines, darkrooms, and other resources. The plugin is versatile enough to allow the gates to be made a part of the environment too. For example, in our private faction a user can run onto a boat and appear on another boat in some remote location, and all we had to do in order to create it was lay down a few blocks and click them with a named clock. Things can be be more complicated than that too, allowing for an intelligent hub to easily be created, with entry and exit only gates or multiple entrances or exists on the same gate network. It's all intuitive on the control end though, as you use simple game materials, like blaze rods or magma cream, to edit the properties of a gate. Thanks! I could not have said it better myself. Would you mind if I used parts of your text in the plugin documentation? Thank you for the feedback. I have added a quick description. Out of curiosity, did you read the documentation? Or didn't you notice the link? The way I have set this up atm is a brief documentation here on spigot for my plugins and a much longer one on my main website. Maybe I haven't made that obvious enough? Sorry, I didn't notice it. You added a good amount of info there so I kind of assumed that the basics would be there. My bad. Not used to seeing many plugins around with a full doc like the MassiveCraft ones have. And been seeing way too many 4 sentence ones around here too lately XD. Does this work with BungeeCord? Fixed a bug where the file idnamecache.json sometimes had to be deleted for the server to load properly. Removed the base command alias "mc" since it conflicted with too many other plugins. Techy: Improved command registration API where you supply the registering plugin. Improved Bukkit.getOnlinePlayers() stability between different server versions. Claiming land from enemy Factions should now work again. Now compiled for Java 1.6 like it should be (as opposed to Java 1.8). Updated the particle effect library for 1.8 support. (Techy) Improved the command sender reference system to reduce risk for invalid references. (Techy) Dodge NPE upon deleting a non existant entity ID. Added the new Minecraft 1.8 doors and entities. Fixed a bug causing support for 1.7 to be lost. Build right protection for Minecraft 1.8 armor stands. Is there a way to run this without that core thing? I REALLY dont want it. I have this bug... Is there anyway to fix it? Someone said you can shutdown server, remove plugin, restart server, enter creative mode, worldedit gate, then reinstall plugin and restart the server. I couldn't get it to work though. It won't even Spawn a Portal block on my server. I realize it says ancient gates but its the exact same issue. Ok, for other people with the same issues I'm having with distorted portals, there are two methods that can be used as workarounds. 1- Create all your gates. Shut down your server and remove the AncientGates.jar file from the plugin folder. Restart the server. 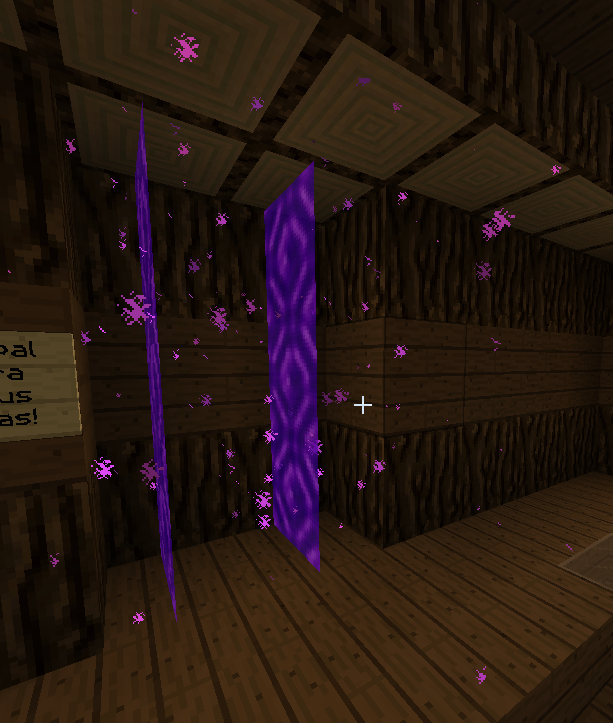 In creative mode, break all problematic portals and place portal blocks (item:90) in the correct locations. Shutdown server and drop AncientGates.jar back in the plugins server. Restart. 2- Create your gate as you normally would, use WorldEdit's Wand to select all the portal blocks, run "//replace portal air" to remove all portal blocks. Select all the blocks where you want the portals with the wand and run "//set portal". Everything should be good. I don't want to step on anyone’s plugin toes but with Ancient gates you can.